It turns out that if you put Cumorah in New York and Zarahemla in Iowa, the geographical references in the text fit nicely. The archaeology, anthropology, and geology also match up with the seas, the narrow strip of wilderness, going up and down, the narrow neck, etc.. This, however, has never once been demonstrated. 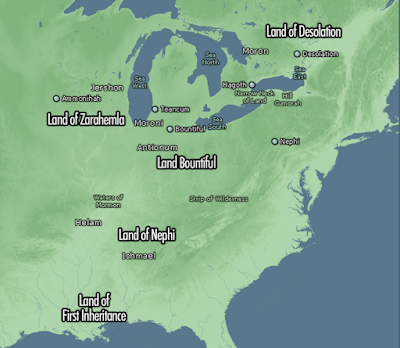 Brant Gardner has recently critiqued the general Heartland model based on specific textual details. In his so-called “peer review,” Neville repeatedly accuses Gardner of engaging in straw man argumentation. Such an accusation would have more teeth, however, if Neville would offer at least some kind of analysis of the textual details and how they might fit with a model based on his two points. But, alas, Neville never does this. If Neville disagrees with the Heartland model as described by Gardner, then why doesn’t he offer his own description of the Heartland model? Just how do “the geographical references in the text fit nicely” across the Eastern United States? John L. Sorenson’s model maybe imperfect. It maybe laden with assumptions. But in his The Geography of Book of Mormon Events: A Sourcebook, he laid out his thinking on the subject in detail. He provided his interpretation of over 700 verses he deemed relevant to the Book of Mormon. Sorenson is the most thorough, but other Mesoamericanists have also given some fairly detailed discussions of at least a few hundred verses. This gives me something I can actually read and critically examine. I can weigh and consider Sorenson’s and other Mesoamericanists’s interpretations. Can Neville, or any other Heartlander, show me where this has been done by an advocate of the Heartland model? You see, I would love to take the Heartland model seriously, but they haven’t given me anything to take seriously. This is why Gardner says that the hypothesis (meaning, of course, its advocates), “really doesn’t care much about geography.” And while Neville takes umbrage to this statement, his constant haggling over early Church history statements and serious lack of any detailed analysis of the textual-geographical data really serves to illustrate the point. If he and his associates really care so much about geography, where can I read his detailed analysis of the 700+ geographic passages? In rebuffing Gardner, Neville insists that even though geography is the last factor considered by Rod Meldrum and Bruce Porter, “Every analytical method prioritizes steps, but the final step is no less important than the others. This is as true of the Porter/Meldrum approach as any other.” But this does not actually match what Porter and Meldrum actually say. They unambiguously assert, “these prophecies about ‘remnant’ and ‘Gentiles’ upon this land becomes a primary witness and testimony that should supersede any geographical passage in the search for a setting for the Promised Land.” Need we review the meaning of the term supersede in light of Nevilles assertion? verb (used with object), superseded, superseding. to replace in power, authority, effectiveness, acceptance, use, etc., as by another person or thing. to succeed to the position, function, office, etc., of; supplant. From here, I will let the reader decide if Porter and Meldrum seem to weight geographic evidence—their “final step”—as equally as their first priorities. Amidst all his ranting about straw man arguments, however, Neville is prone to commit such logical fallacies himself. 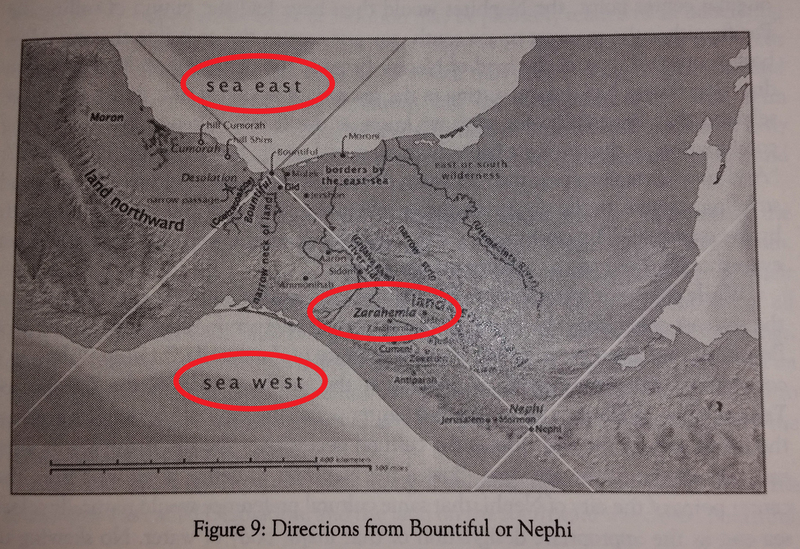 In a blog post entitled, “Seriously … this is the map you are supposed to accept,” Neville shows the following picture from Brant Gardner’s Traditions of the Fathers. (Salt Lake City, UT: Greg Kofford Books, 2015), 145, red circles added by Jonathan Neville. Now, you might wonder why the sea east is north and the sea west is south of the supposedly “narrow” neck of land that is 125 miles wide. The answer is that Joseph Smith didn't understand Mayan mythology so he didn't know how to translate the book correctly. Well, that's not fair. When he translated 1 Nephi, Joseph translated directions accurately because when Nephi lived in the Middle-East, he used the same cardinal directions we do today. But when he came to the New World, Nephi and his successors immediately rejected the Hebrew customs and embraced Mayan mythology and worldview. As far as straw men go, this is the weakest kind. Where to even start? No one has ever said that Joseph Smith didn’t translate the book correctly. The “correctness” of the translation is not the issue at all. The issue is how well the Nephite directional system translates into cardinal directions. Israelites used a directional system that translates easily into our cardinal directions. This is not necessarily true of all directional systems used in ancient cultures. There are absolutely zero directional references in the New World until Mosiah. That is roughly 300 years after Lehi left Jerusalem. As such, no one supposes that Book of Mormon peoples necessarily “rejected” their traditional directional system “immediately.” It was probably a gradual process. Even if it was immediate, though, why would that be so objectionable? I could go on. I recommend one read the detailed analysis of Book of Mormon and Mesoamerican directions from Gardner himself to get an accurate view. Whatever shortcomings a Mesoamerican model might have in terms of placement of seas, these pale in comparison with the placement of the seas in Heartland models, which are impossible to square with the text. Perhaps Neville would be inclined to explain some details of his own Heartland geography model (presuming they differ substantially from those shown above) and how these stories about Helaman’s army play out in them, so I can critically examine such a hypothesis. I would love to see just how “creative” Neville has to get to make this fit. The fact is, no matter how many times Neville wants to simply assert that the Heartland fits better geographically, etc., until he can show how stories like this actually do fit better geographically, the assertions are meaningless. Beyond all that, in his outrage at the idea that Lehi and co. would adopt native ways of conceptualizing the world, there seems to be an utter naïveté about basic anthropology. Lehi and his family were a small group of immigrants. Their survival in a totally new environment depended on adopting local ways and customs, and not just in terms of growing crops or building shelter. Being able to communicate with locals would be essential, and adopting—to at least some degree—the predominant worldview, would be a necessary part of that. All of this is true no matter where Lehi landed, whether in Mesoamerica, North America, South America, or anywhere else on the planet. Underneath all of this there also seems to be some sort of assumption that adopting the native ways (in this case, Mayan) of conceptualizing directions and the world around them is wrong. The Israelites believed the world was flat and that the sky was a solid dome which held the celestial waters at bay—a worldview largely held, and likely adopted from, the wider ancient Near Eastern world. And this erroneous view of the cosmos is reflected in several places in the Bible. So what, then, is so objectionable with the idea that the Nephites understood directions in a way that was similar to that of their neighbors, or if the northern and southern seas mentioned only once in the text (Helaman 3:8) are merely metaphorical based the cultural worldview at the time (another idea Neville does not seem to like, despite having no real argument against)? Seriously, does any passage become difficult to interpret if those seas are just metaphors? Because reading it as literal certainly creates difficulties for any geography, including Heartland-based models. What is actually wrong with these ideas? 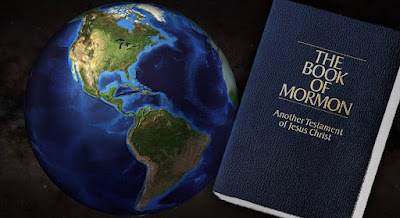 We cannot read the Book of Mormon like it is some kind of fairy tale, where we get to project our modern way of seeing the world onto its various characters. If it is a real history of real ancient peoples, then we should expect those people to think, act, and conceive the world the same way real ancient people did. This means holding world views about the cosmos, or understanding directions, and a variety of other things differently than we do. It also means that we need to be able to do more than simply put the names of Book of Mormon cities, rivers, and seas on a map willy-nilly—the stories and events which tell us about those places need to fit a real world location. Otherwise, Zarahemla might as well be in Never-Neverland. Bruce H. Porter and Rod L. Meldrum, Prophecies and Promises: The Book of Mormon & the United States of America (Mendon, New York: Digital Legend, 2009), 17, emphasis added. Satan wants us to get divided over this. Thank you Neal for such a great post! Has anybody on either side of this debate noticed the fractal-like similarity of Mesoamerica as compared to the whole of the Americas? If this be admitted, then it allows the geography to follow the Mesoamerican model (which I favor, btw), while the spiritual principles and promises to apply by projection to the USA, as the Heartlanders take as their starting point. Hi Neal. Thanks for your interest. As you know, when I've reviewed your work, I've only pointed out your factual and logical fallacies to suggest improvement. Sorry if you've taken my comments otherwise. I already have produced a detailed geography that fits the text very well--certainly much better than any Mesoamerican proposal. It is more detailed than Sorenson's as well. It will be released in time for this year's anniversary of Joseph receiving the plates. Stay tuned. "It appears that Rappleye has been co-opted by the citation cartel and has chosen to accept the work of other members of the cartel at face value. The more he becomes aware of this, the better his work will be." First, how could you possibly know if I had been "co-opted"? And objective measure could possibly be used to prove that Matt et al. are a "citation cartel"? (I note here that you argument you have put forward on this point could be used to condemn almost any group of scholars who tend to work in the same field, especially if it is a small niche field, as Book of Mormon geography most certainly is.) And how could you know if I accepted it at "face value" or if I simply reached the same conclusions after independent investigation? This is not helpful in any sense. It is baseless speculation, and well poisoning. This is only one example of such rhetoric found in your many, many blog posts. That said, I certainly look forward your forth coming iteration of your model. Please be sure to let me know when it is available and how I can get a hold of it. I will gladly take a serious look at it. Hi Neal. I do think that if you applied more critical thinking to what you read, your work would be better. I have given you some examples in my reviews of your articles (although apparently I've only looked at two of them, from what you say). As I've always said, I think you and the other Mesoamerican proponents are sincere, good people; I have no problem on a personal level. I wish all these articles could be submitted and evaluated anonymously so they could be evaluated on the merits. I'll look forward to your review of my model. BTW, Neal, your basic complaint here is that I haven't shared my proposed geography with you. There is nothing more I would like than to sit down with you, Dan, Brant, or any of the other Mesoamericanists and go through my model. So far, my requests to do so have been rebuffed. But just as well, probably. You need to recall my experience with Matt Roper of the Maxwell Institute. I visited Roper three times to get his input before I published anything. I shared an early draft with him, thinking he would act as a colleague. Instead, he never gave me input, he shared my material with others, he reneged on an agreement to collaborate with me, and he spent six months preparing a review that contains obvious errors. So you'll just have to be patient. But since you're not Matt Roper, if you would like to sit down and go through it, I'd be happy to do so. I'm just never going to share my pre-publication material with another Mesoamericanist outside of a face-to-face meeting, as I'm sure you'd understand. My complaint is not that you have not shared your proposed geography with me personally. I hardly think I deserve any kind of special status. My complaint is that you have not shared it publicly in any form that I could find, and thus get my hands on. Every time you talk about it it is like some sort of shadow lurking--talked about, but never actually seen. I am not asking you to share any special pre-publication material with me, I am asking you to publish. And while I can appreciate that publication takes time, I frankly do not understand why when, say, responding to this or that post, you can't provide a little relevant exegesis. For example, why not just explain how you make Alma 53:22 work, rather than just saying "Well, you'll just have to wait and see"? I am not keen on sitting down for a person-to-person conversation. I need things down on paper, where I can read, stop to think/process, and read some more, Where I can see what sources are being cited, what passages are being quoted, and carefully consider the interpretation, etc. Where I can pick up the Book of Mormon text for myself and read it in full and compare. Person-to-person conversations are not amenable to such critical examination. Such encounters are also too easily misrepresented afterwards, whether deliberately or not. (Please understand that Matt is a friend, and has hinted to me that there is more the story than what you are telling.) No, I much prefer written public discourse, which better holds all parties accountable. 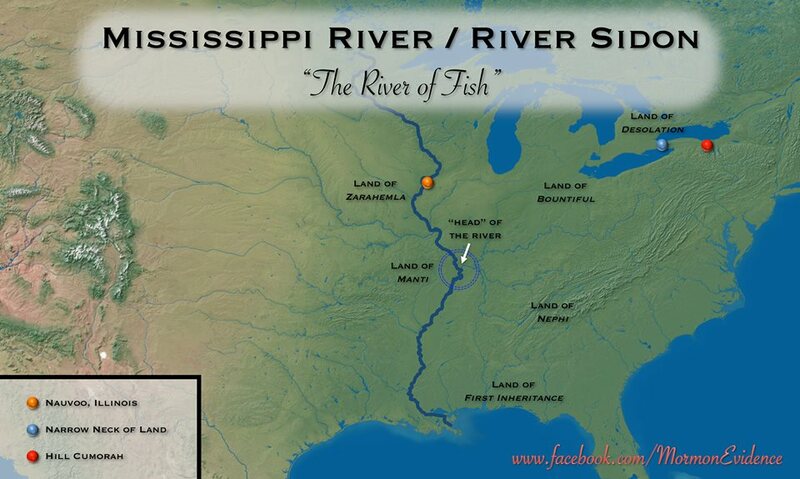 I think this is relevant to the Book of Mormon geography discussions. Thirty five years ago, or so, I sat in on a legal deposition of an elderly Hopi Indian in a land dispute case. He was asked to designate the coordinates for the traditional claim on a map. His conception of North, East, etc. was about 45 degrees off of what we generally understand for the directions. Mr. Neville, while i was once curious of your work, i am astonished by your proud and pugnatious tone. A truly humble individual is one who is capable of taking criticism graciously and admitting whether argument is weak or lacking. A truly humble individual is one who does not condescend or try to disparage and dismiss their opponents. Thus far everything I have seen produced by you is written with an undercurrent of your superior knowledge and in a disparaging way and dismissive way of those who disagree with you. As if they were your spiritual and intellectual inferiors. You speak as a true and arrogant Gnostic as if you and those in your cadre of like minded experts are the possessors and revelators of the great secrets and if only those with whom you disagree would see the depth and power of your wisdom all would be well and they could be true Saints like you. You remind me of a statement by GK Chesterton who wants said that pride does not come before the fall pride is the fall... Your tone sir, you cocksute attitude and self adulation sir undermine your work and cause those of us who watch from the sidelines to question not only the premise of your work, but also your motives. While your theories may be exotic, this is not all or nothing...in fact, contrary to the thrust of your work, the where of the BOM is insignificant when placed next to the why of the book. All of this sir...is so much looking beyond the mark and such zeal without knowledge. Alma 50:8 And the land of Nephi did run in a straight course from the east sea to the west. If the east and west seas are located among the Great Lakes, as indicated in Heartland maps that I've seen, an incredible degree of creativity will be required to make sense of this passage. I've mentioned in other forums that I used Sorenson's maps to wargame BOM battles and campaigns when I was studying Nephite warfare. They work perfectly, and go a long way toward explaining the relative movements of Nephite and Lamanite armies. Lehi and Teancum come east from Mulek and Moroni west from Nephihah to sandwich the Lamanite armies. The Lamanites sideslip north and escape eastward down the coast to Moroni. The distances and movements are completely plausible and within the capacities of nonmechanical armies. The Heartland maps would require BOM armies to march ridiculous distances through howling wilderness. Maybe they can somehow explain the logistics of how these armies were supported in the field.